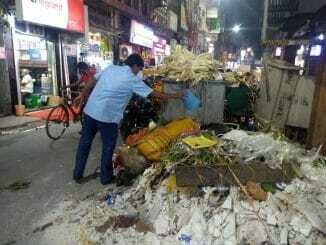 Many of us complain that Chennai has grown ‘unplanned’. Technically that is not true. Chennai has been having various ‘plans’ guiding the expansion of the city since 1957. The First Master Plan for Chennai was published in 1975. Both the transport terminal and wholesale market from Central Business District were shifted to the current CMBT and Koyambedu Market as a strategy to decongest the Central Business District then. So the master plan matters. The Second Master Plan was published in 2008 – this plan is a guiding document till 2026, another 8 years from now. And CMDA even had a consultation with citizens on the Second Master Plan in 2007. If we want to make our city better, it is important for us to understand the official plan and keep a track of it. The Plan is available on the CMDA, but is very hard to understand. Opencity.in has published it below, neatly collated and organised. How do I read the Master Plan? If you are new to the whole issue of civic governance of Chennai and would like some basic information about Chennai, then Volume 3- Sectoral Background is a good place to start. It is a little over 300 pages, neatly structured into various sectors like – History, Transport, Solid Waste Management and Drainage etc. If you are an active citizen, who is already aware of civic issues, and may have even filed a complaint or two on civic issues , and you want to know what the current master plan has in store for a specific sector that interests you – then Volume 1- Vision, Strategies and action Plans is for you. And this has not been done so far, despite the law being passed. Now that is an important thing to follow up with various channels. If you are part of an NGO or a lawyer working specifically on Chennai Developmental issues ( eg land use and regulations), then you might have the commitment to read the longer (and partly legal) document : Volume 2 – Development Regulations. For example, if you want to know what makes a building a commercial one and what are the various rules and regulations that govern a commercial building, it will be available here. This document will also be useful for people who want to construct any type of buildings in Chennai, to be aware of the regulations to be complied with. After Cape Town, will it be Chennai? 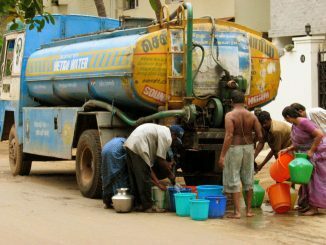 A recent report stated that Delhi is likely to face severe water shortage by 2020, and Chennai may well be on its way to a similar crisis. Is it not time we shifted our focus from supply to demand – rainwater conservation, better storage and minimising wastage? 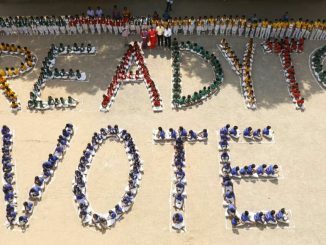 Ahead of elections to the 17th Lok Sabha, Greater Chennai Corporation and public entities conduct back-to-back awareness campaigns, emphasising the right and duty to vote. What ails Parry’s Corner — colonial history or civic apathy? Once a historic town in itself, Parry’s Corner is a text-book example of unplanned development, with poor traffic, dingy and unclean roads, and overall chaos. But does history too have a role to play in the present condition of this central Chennai neighbourhood?